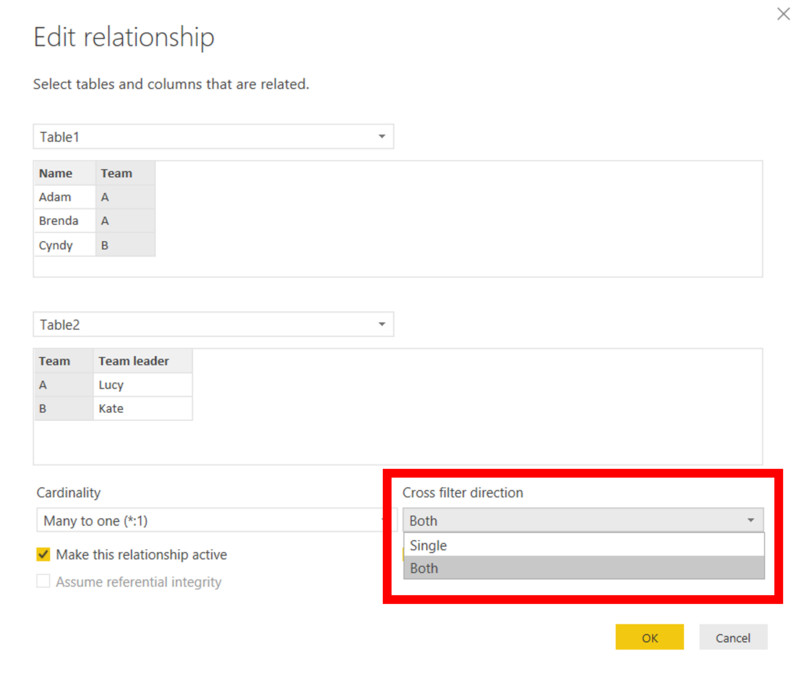 Did you know, what exactly means the “Cross filtering” option in relations setting in Power BI? Let´s have two tables, connected by relation using the “Team” column as a key. Let´s create two simple Table visuals (or any similar visuals…). The table on the “1” side of relation, team leaders, will always filter the table with names.